Details: Breathe in Life is headed to Nepal in October and we wanted to find a way to help those in need during our journey. This led us to meet some great people from the WFN - Women's Foundation in Nepal (https://www.womenepal.org/ / Women's Foundation of Nepal ). 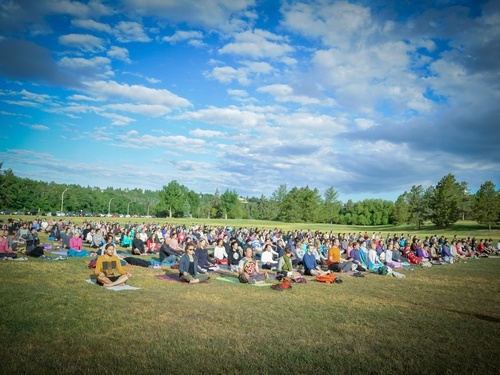 In order to raise funds for the WFN to continue doing all the great work they do we decided to team up with Andrew Misle and put on a 'Yoga in the Park' session with an added bonus of PANCAKES after class! It will be yoga by donation (any amount) and the price for a plate of pancakes is still to be determined. But of course all the proceeds will go to the WFN. Bring your yoga mat if you want to partake in class or if you just want pancakes feel free to join in for just that! Email melissa@breatheinlife.com for more information or if you would like to collaborate in this event in some creative way.